I purchase my Well & Good flours and pastry mix on-line and was pleasantly surprised with complimentary “Pudding in a Mug” sachets included in my order. Options are Salted Caramel, Gooey Chocolate, Spiced Banana. 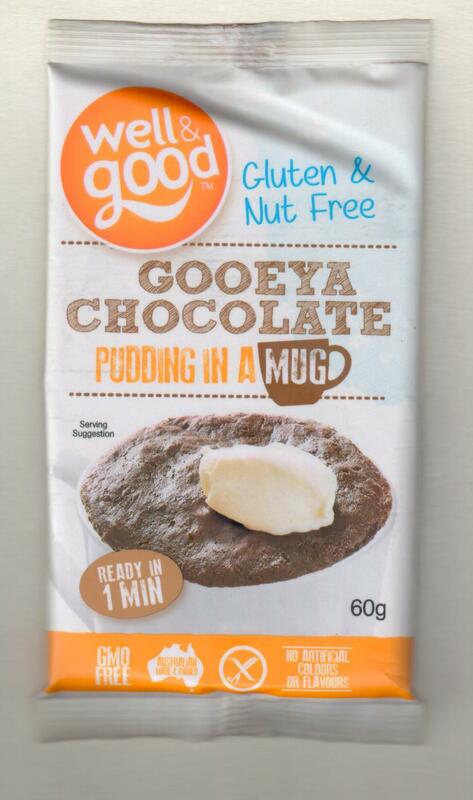 The “Pudding in a Mug” will be available for purchase on-line within the next four weeks. They are part of the 8 new varieties available from Well & Good. 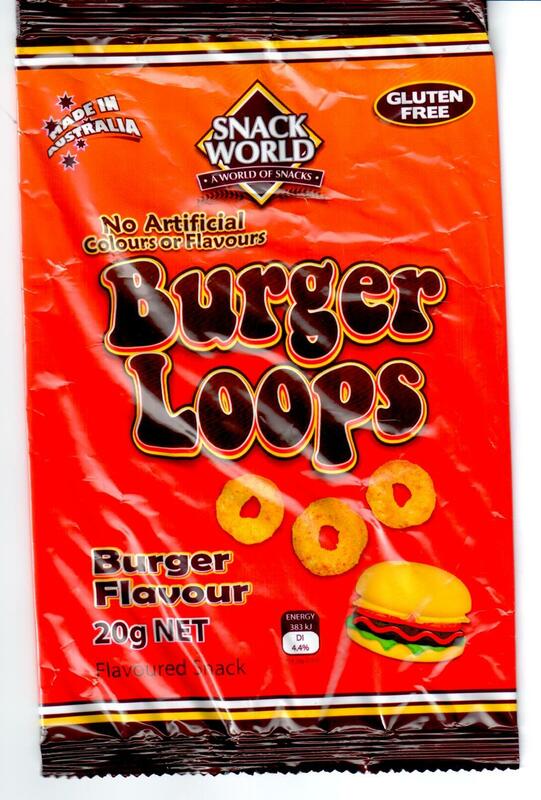 With two out of the three sachets missing from my pantry, I can say that this new gluten free snack has been given the tick of approval from my gf teenager. I have been going through my ‘old’ recipes and I found this one in a recipe book collection I had made in the late 1970’s. The recipe book was given to me by my eldest sister for one of my teen birthdays. It belongs to an era when you hand wrote recipes and while it is a little worse for wear it has some wonderful recipes from my childhood. 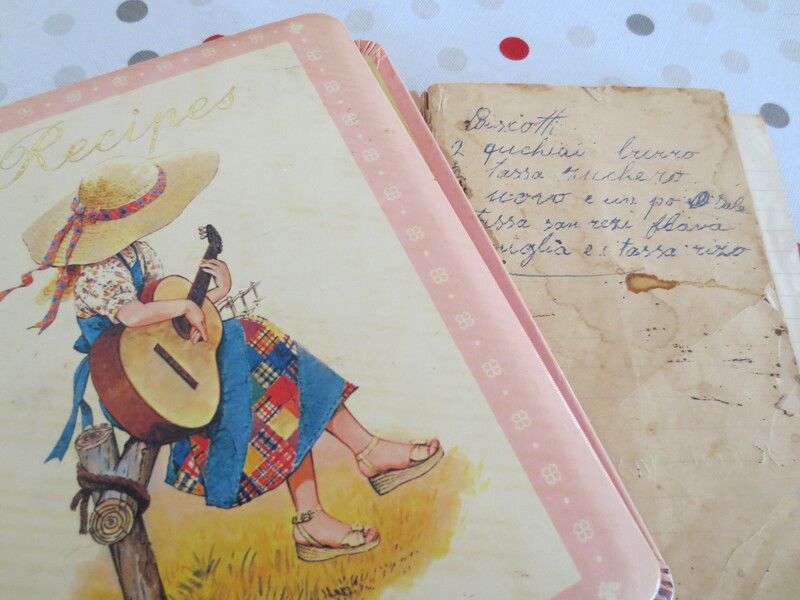 It contains recipes with vague instructions like ‘1 sifter of flour’ or ‘1 teacup of sugar’ or recipes that contain ingredients only, without any mention of measurements or instructions. It was a time also when recipes belonged to family members and named for them and even today there is still a nostalgia attached to them. Nuts and Bolts is one of my mother’s recipes and was a favourite made for Christmas parties and family gatherings. 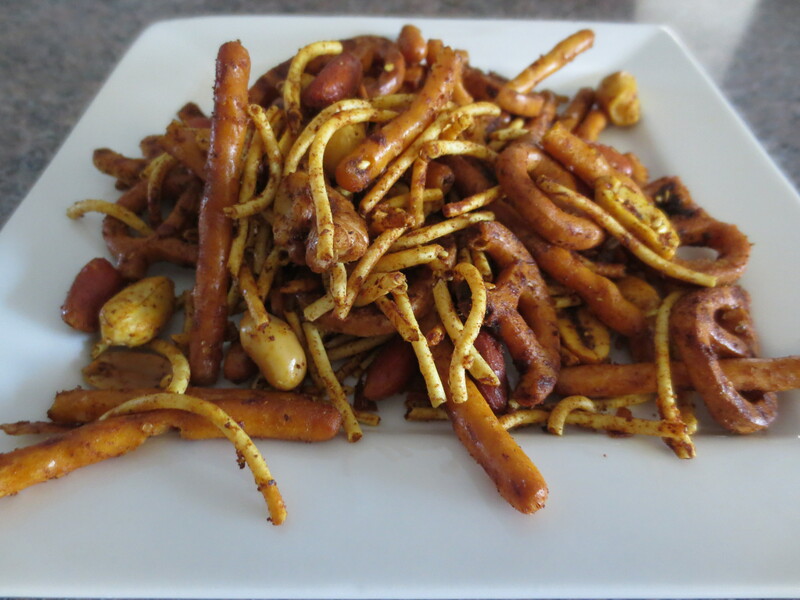 This is a deliciously moorish snack similar to the Bhuja Cracker Mix available in supermarkets. Heat the fan forced oven to 150 C. Line a baking tray with baking paper. In a small saucepan, melt the butter on low heat and then add the curry powder, worcestershire sauce, sesame seeds, crushed garlic, salt and paprika and stir until combined. Place the pretzels, pretzel sticks, nuts and fried noodles in a large bowl and stir to combine. Add the butter mixture to the dry ingredients and stir to coat the dry ingredients with the butter mixture. Spread evenly mixture onto the baking tray and put in the pre-heated oven. Bake for 15 minutes making sure to stir the mixture every five minutes. Remove from oven and cool on tray. Store in an airtight container. This time next week I will be thinking…. “ah!!! 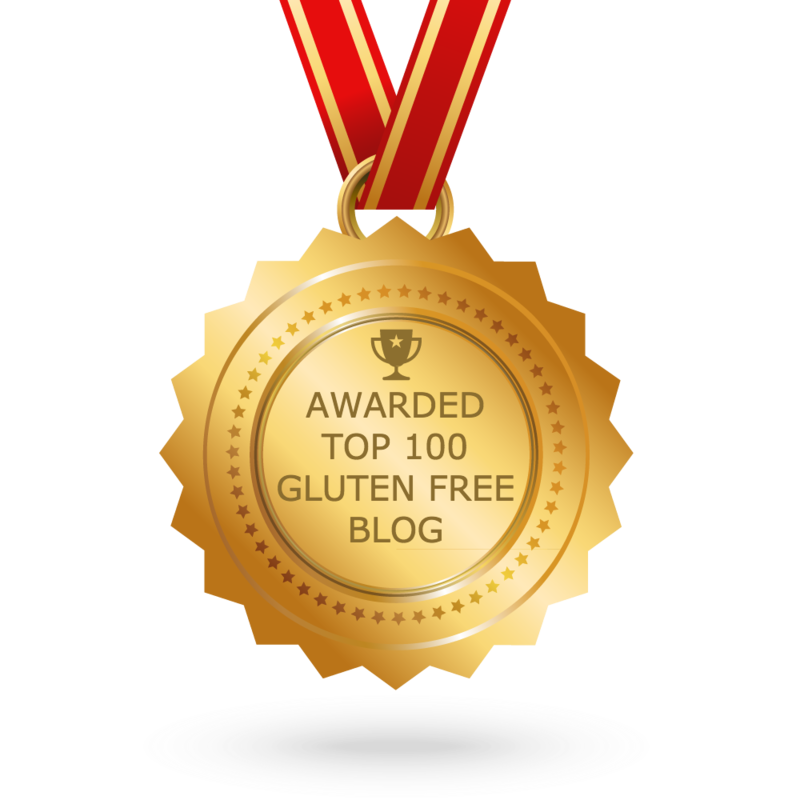 lunch boxes, I have to stock the cupboard in preparation for the start of school”. In Queensland school starts 28 January, just around the corner. So here is a product, newly found that is a snack pack size, gluten free and gets the thumbs up from my non-coeliac teenager. Available at ‘Crazy Clarks’ in Townsville, I am sure you will find them in any of the overflow type stores near you. 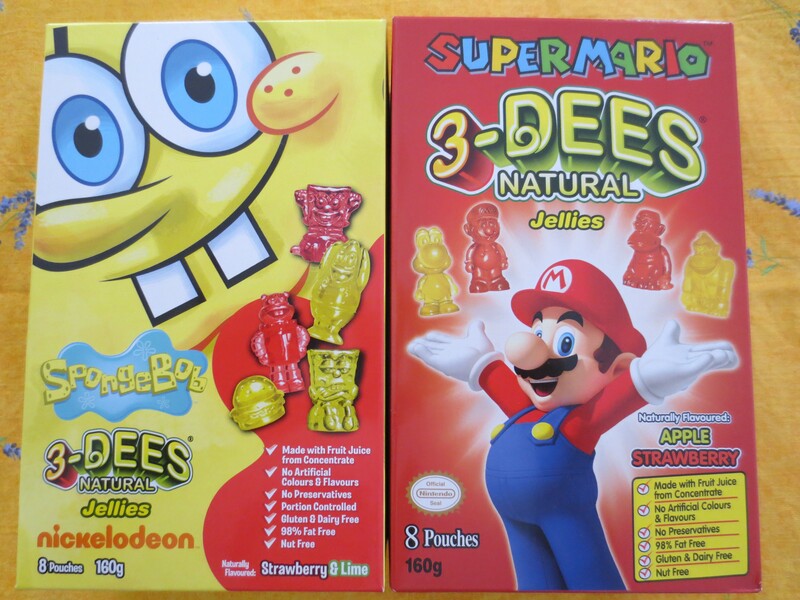 I found these Fruit Jellies in Crazy Clark’s today. Perfect snack pack for lunch boxes.